Born in a Jewish family in Bratislava. 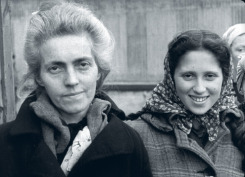 Nurit and her mother Olga were sent to Ravensbrück. Where does she live today? Was born 1931 as Franziska Quastler in a Jewish family in Bratislava, which was part of Czechoslovakia at the time. Towards the end of the WWII Nurit’s father managed to get Argentinian passports for the family in order to avoid deportation, as Argentina was neutral during the war. Despite this the family was deported to Auschwitz in autumn 1944. Later the same year Nurit and her mother Olga were sent to Ravensbrück. 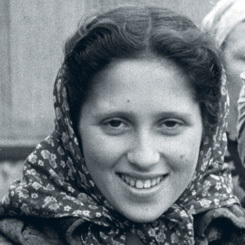 There Nurit became a friends with Rosetta Achmed, who also was rescued by the Swedish Red Cross and brought to Malmö on April 28, 1945. Once in Malmö Nurit and her mother were taken to quarantine at Malmö Museum. At the museum Nurit found a playmate in nine-year-old survivor Irene Krausz. After ten months in Sweden Nurit returned to Bratislava. 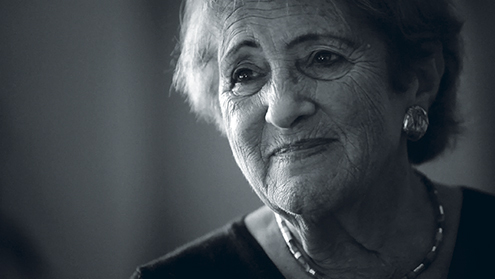 In 1950 she moved to Israel and married another concentration camp survivor. They started a family and she took the Hebrew name Nurit. Today she lives in Herzelia, 10 km north of Tel Aviv. If you would like to add information to Nurit Stern’s story we will be very happy to hear from you. Please write an email to our researcher Sebastian. If you can help us with further information about Nurit Stern we will be very happy to hear from you. Please write an email to our researcher Sebastian. 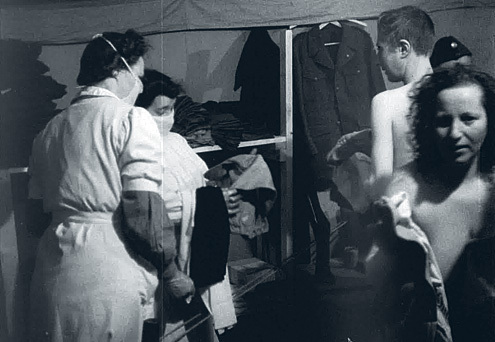 Nurit’s mother Olga Quastler (right) in the sanitation tent in Malmö. April 28, 1945. 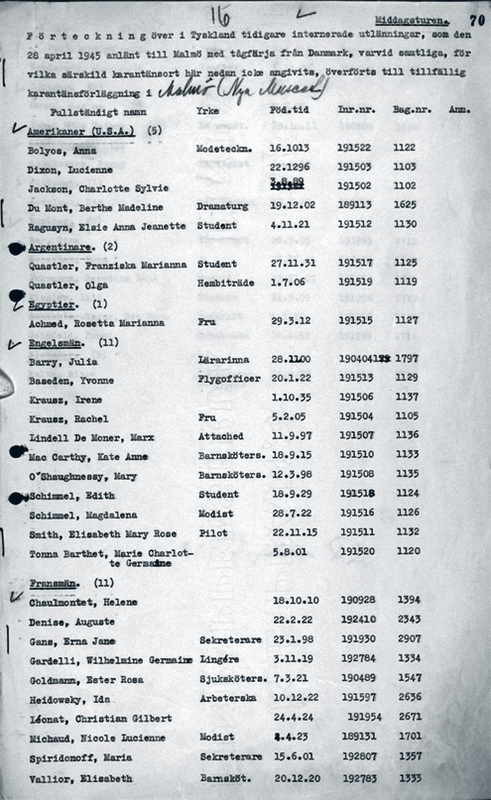 Nurit and mother Olga listed as Argentineans on the ferry to Malmö. Birthname Franziska Quastler.